TheatreLab is designed to introduce children to the world of theatre by connecting them with qualified theatre professionals. Theatre Lab is designed to introduce children to the world of theatre by connecting them with a qualified theatre professional. We want to bridge the gap between artists and students, creating enriching learning experiences. These workshops introduce the concepts of physical theatre that are appropriate for each age group, and explore creativity, self-expression and imagination. Now Booking for 2018–2019 school year! To bring Theatre Lab to your school, please contact Chris McGregor at booking@axistheatre.com or 604 669 0631. More details below about the workshop programs below. Children will develop skills for self-expression and communication through a variety of games and imaginative team-building exercises. 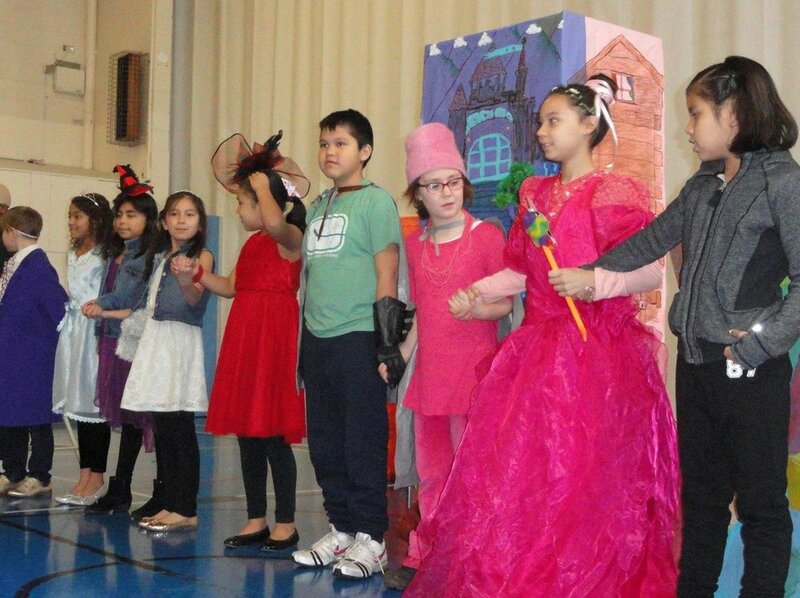 Children will explore their creativity and adapt classic fairy-tales into three original productions which they'll perform for their teachers and peers. It's theatre by kids for kids! This workshop is five hours long and is led by Axis' Artistic Director, Chris McGregor. Chris will lead the children in developing their character and script, while encouraging them to employ their imagination and fully express themselves. Students will explore a variety of games and exercises to develop the basic skills for performing, while learning the elements of Commedia Dell ‘Arte, clown and comedic acting. Participants will study the stock characters in Commedia and how to physically play them on stage by engaging in character development and improvisation exercises. These workshops will stretch students’ imagination by offering a glimpse into the world of physical theatre in a fun, supportive environment taught by Axis' Artistic Director, Chris McGregor. This program works well in conjunction to high school theatre programs and can be booked for one or more sessions. Cost varies based on your specific program requirements. To bring Theatre Lab to your school, please contact Chris McGregor at booking@axistheatre.com or 604 669 0631.